Trash Talk Audio mics are perfect for use in a wide range of studio applications. Drums, vocals, piano, guitar cabinets and acoustic guitars... or whatever you like! 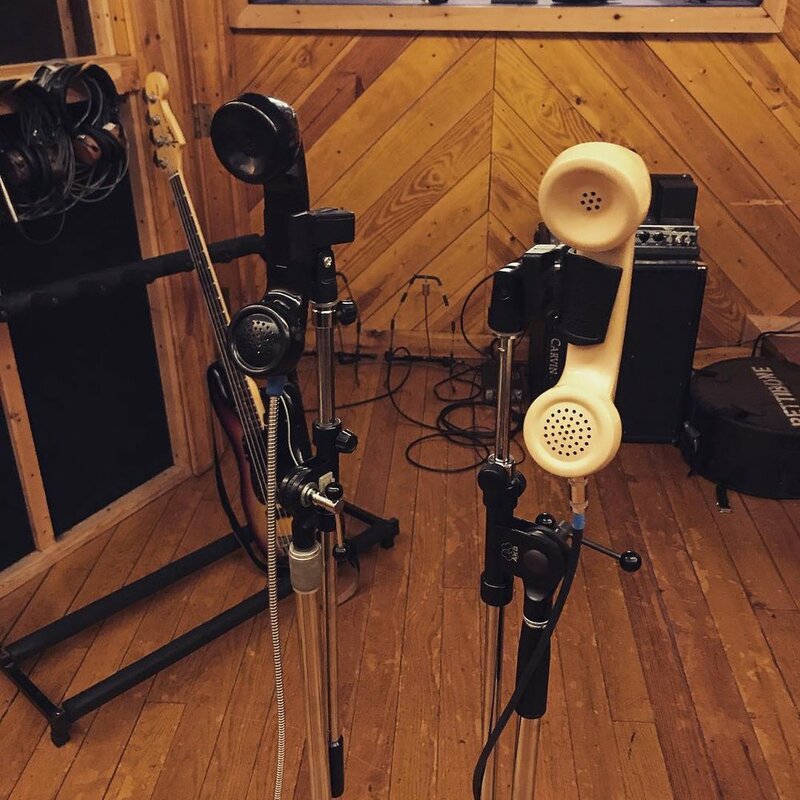 The Payphone PP-1 NOS comes standard with a hard-wired XLR connector while the Rotary Phone RP-1 Vintage has a flexible 1/4" jack. Both microphones capture a lo-fi, narrowband sound but have slightly different tonal profiles. NOTE: For either model, the earpiece is the actual "hot" mic. This is to accurately recreate the sound you hear when listening through a telephone speaker. The PP-1 NOS was recently featured in a song by New York's Sunflower Bean. Listen for the lo-fi vocals starting at 1:00 in the track below, "I Was A Fool". Mic a guitar cabinet to bring out some colorful character in those mids. Mic a clean guitar sound to gain some compression and definition. Blend your standard sound with our lo-fi mic for a richer, full-bodied tone. Experiment with placement to add something to the mix of a drum sound or as an alternate sound all together. Blend the trash-room mic into the mix for subtle tonal complexities.